For this look I used Love, Soulful, Violet and Iconic. I also borrowed the matte white shade from my fave matte palette seen here. It’s an all matte look and definitely work safe. Blend Violet into the crease and blow out with a large fluffy blending brush. I wore this look a few times this week, and got lots of compliments on it so I decided to film a talk through for it. 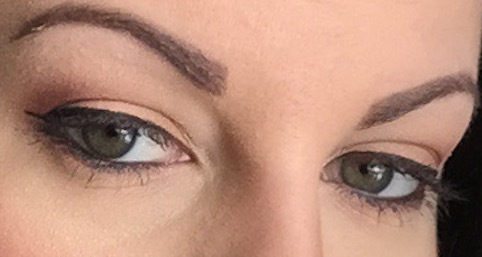 I used a Ivy gel liner from Mac for the pop of green and did a thin line of black liquid liner over top. Stay tuned for the rest of the weekend and the final thought!